Fair Trade is a term that is often used and sometimes abused. Certifications, compliance and interpretations of what is fair vary greatly from country to country, industry to industry and company to company. We feel it is important to take a second and give you our perspective on fair trade. At Earth Divas fair trade is fundamental to everything we do. It is the basis of our business and our primary purpose for doing business. Our overall goal is to keep our expenses as low as we can, produce as many items as we can, and return all profits to the artisans that make our items. 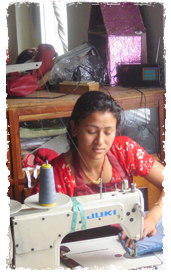 The more items we produce, the more families we employ in Nepal and India.